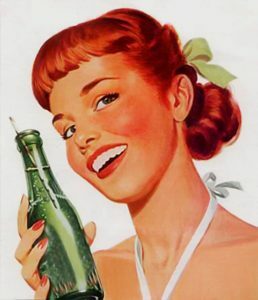 Of course, drinking Mountain Dew and other soft drinks is hardly unique to Appalachia. People around the country consume soda and, more recently, energy drinks on a regular basis. Despite reports indicating overall soda consumption going down in the U.S., soda-related dental problems won’t be disappearing any time soon. The staff at Associated Dentists believe it’s important that you and your family take proactive measures to minimize or eliminate the potentially serious dental complications that can come from drinking soda regularly. Why is soda so hard on your teeth? First, and this will probably come as no surprise to you, sodas can be extremely high in sugar (corn syrup is also a sugar). Naturally occurring bacteria in your mouth flourish in the presence of all that sugar. In the process, they create harmful acids that wreak havoc on your teeth, particularly the protective outer layer known as enamel. When the bacteria break through the weakened enamel, a tiny hole results and you have the beginning of cavity. Left untreated, cavities can eventually lead to severe pain and even tooth loss. So, if you eliminate that sugar and instead drink only diet soda, you’ll get around the problem, right? Wrong. When you drink any form of soda (or energy drink) you’re also consuming acids found in the drink itself. Citric, carbonic, and phosphoric acids are common ingredients in both sugared and sugar-free soda. Though sugar may be the most notorious culprit in terms of tooth decay, acids like those mentioned can be just as – or more – damaging, especially in their ability to erode enamel and the layer beneath, dentin, which comprises the bulk of a tooth. What can you do to prevent soda-related tooth damage? Eliminating soda would certainly remove a major foe to your dental health (and your overall health for that matter). But if that’s not practical for you, there are lots of ways to combat the negative effects that soda can have on your teeth. If you’re taking the harmful effects of soda to heart, you’ll want to develop some smart soda follow-up. For example, drink water after you have a soda. Better yet, rinse your mouth with water to eliminate – or at least greatly reduce – the soda residue left on your teeth. You can even go a step further and use a baking soda/water rinse or a store-bought mouthwash (just ask your dentist for a recommendation). If you really want to take immediate – and effective – action, rinse your mouth (see above). People who drink soda throughout the day are continually creating opportunities for sugar and acids to attack their teeth. If you must have a soda, drink it within a short period of time; don’t make it a liquid companion you turn to all day long. And if you do seem to be habitually wetting your whistle, there are much better alternatives, like water. Speaking of water, let’s just point out the obvious: water does not have the harmful sugar and acids that soda does. It’s also free (if we’re talking about municipal tap water). 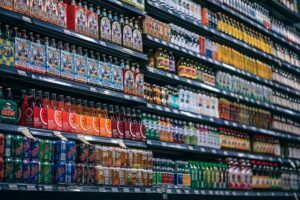 Of course, today you can choose from a wide array of soda alternatives beyond water, but just be careful that you’re not replacing one bad habit with another. Juices, coffees, and teas, for example, all come with their own risk/reward factors. Also, remember that when it comes to the most virtuous beverage, water wins hands-down. Along with good oral hygiene, seeing your dentist on a regular basis can go a long way toward keeping your teeth healthy. If your dentist identifies a soda-related problem, he or she can take measures to prevent it from getting worse. Your dentist can also point you in the right direction by offering helpful tips and insights (like those above) that can greatly reduce the harmful effects of soda. And don’t forget: if you have dental insurance, most plans cover two cleanings per year. 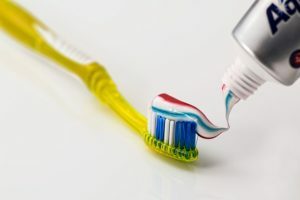 Professionally cleaned teeth feel great, look better, and leave you with the satisfaction that you’ve done a good deed not only for your teeth’s health but for your overall health as well. Using a straw to drink a soda can reduce your teeth’s exposure to its sugar and acids. If you have a soda and then go to bed, you’re creating a perfect environment for soda’s harmful ingredients to sit on your teeth all night. One study actually revealed the striking resemblance of soda mouth to “meth mouth”. For more on Mountain Dew mouth, check out this article.